See photos of Cisco House, the Olympic partner's purpose built brand hub for B2B activity at the London 2012 Games. 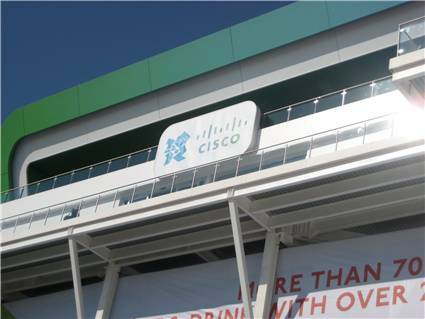 Cisco worked with agency George P Johnson to create the brand experience to host its business customers throughout the Olympics. Cisco House is a showcase for the networking company's technology and is a temporary structure built at Westfield Stratford with views over the Olympic Park. The brand expects to host around 13,000 people at the hub during the five months it is open - it has already been open for around 10 weeks and has hosted over 4,000 people pre-Games.